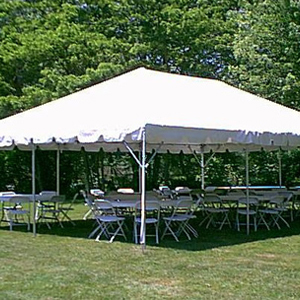 We have an assortment of tables, chairs and tents available to take care of any size celebration. Please contact us to discuss the specifics of your party, picnic or corporate gathering. Don’t get caught sitting on the ground or standing in the rain at your next event!